In a medium bowl, combine Aleppo, sumac, smoked salt and chile powder. Whisk to combine. 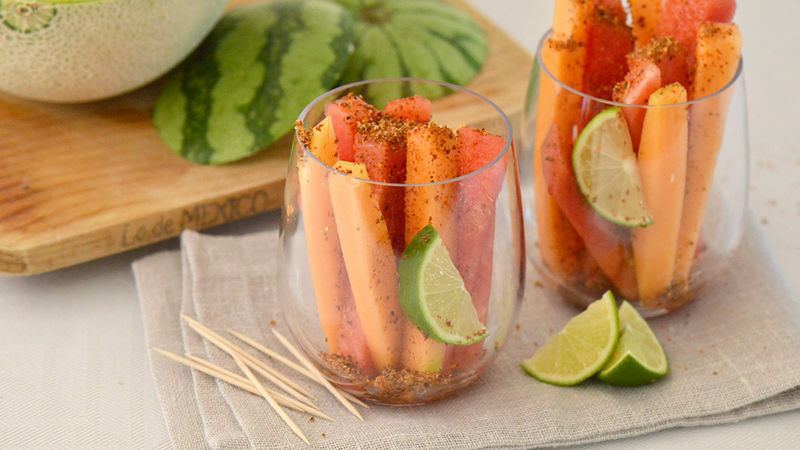 Serve watermelon and cantaloupe, sprinkle with seasoning and lemon juice. Enjoy. Drizzle with honey for a sweeter variation to this recipe. Mexican-style street fruit is a favorite year-round at my home. Whenever we don’t have access to a street fruit vendor, I make my own at home. It’s the perfect, better-for-you snack on a hot day or a post soccer game treat. Store it in a tightly sealed container and place it in a dry place.